This teddy bear like push puppet has a small spring for a neck. 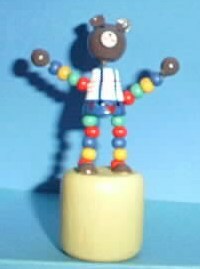 He is made of tiny colored beads and has hand-painted clothes. Great wobbly head movements.